What's covered and how does it work? We've got all the details. If your workplace offers a Flexible Spending Account (FSA) or Health Savings Account (HSA), there's some news you should know: Amazon is now accepting FSA and HSA cards as a means of payment on eligible products. With this policy update, Amazon could seriously change how some customers purchase health care supplies. After all, why go to the store to pick up band-aids when you can have them delivered? How Can I Use FSA and HSA Cards on Amazon? FSAs and HSAs allow you to contribute a portion of your pre-tax salary to cover medical expenses. Check with your workplace or plan administrator for more information. If you're currently enrolled in one of these plans, you can now add your FSA or HSA card as a payment option in your Amazon account. That means using pre-tax income on everything from air purifiers to prenatal vitamins, all with Amazonian delivery speeds. Just keep in mind that you must register some HSA cards as credit cards. According to Amazon, "If you register your HSA card as a credit card, you’ll be responsible for ensuring the card is used only for eligible products." That's because HSA cards registered as credit cards don't "automatically restrict the types of products you can purchase with the card." 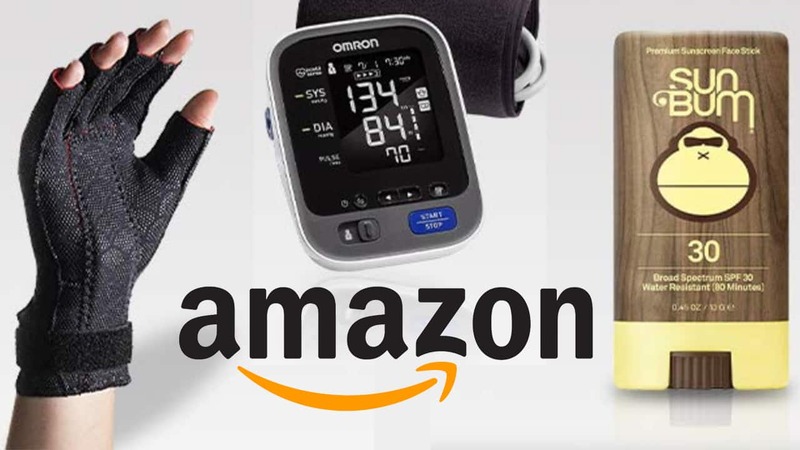 What Amazon Items Are FSA and HSA Eligible? Not sure what you can buy with your FSA or HSA card? You can view Amazon's complete list of eligible brands and products here. Amazon will also include "FSA or HSA Eligible" disclaimers on product pages to make things simpler. Generally speaking, though, FSA and HSA cards can be used on health care expenses, including items like medical devices, first aid products and even sunscreen. Plus, cardholder's can buy things for their family or eligible dependents. That said, it's still a good idea to check with your employer about any possible restrictions. And to stay up to date on the latest Amazon news and deals, take a second to set up a Deal Alert with us. A big thanks to Slickdealer corpusguy for sharing this info on our forums!